JBIC Must Immediately Review and Repeal its Loan Agreement for the Illegal Project! *This is a translation - The original statement was written in Japanese. 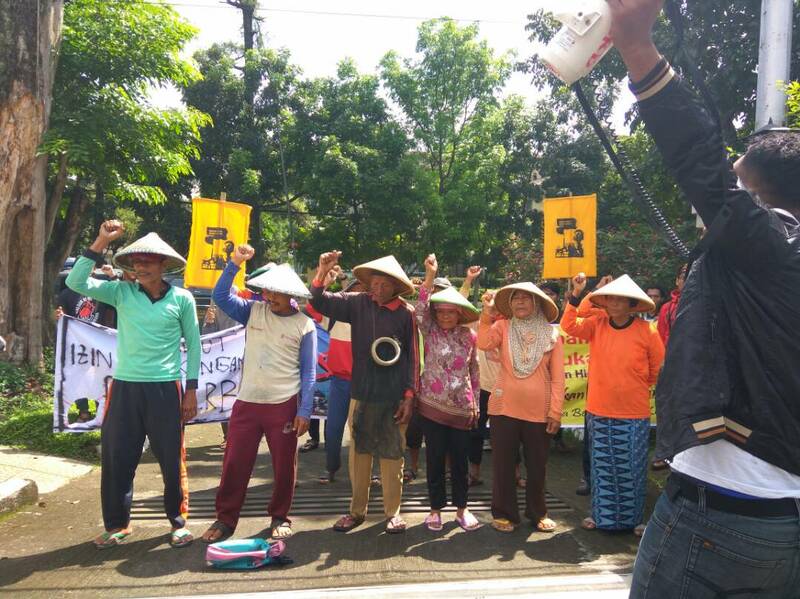 Following objections from local affected villagers, the regional court in Bandung, West Java, has revoked the environmental permit for 1000MW Cirebon coal-fired power plant expansion plan (whieh Marubeni and JERA invested in), known as Cirebon 2 on April 19. The JBIC’s decision to finance Cirebon 2 was made on the day immediately before the regional court’s verdict for the administrative court case, which is very crucial because it argues the illegality of the project, or the cancellation of environmental permit for Cirebon 2. JBIC confirmed in its own response in the Diet on April 13 that it had recognized the progress of this court case. Thus, JBIC’s decision which didn’t wait for the court’s verdict is in clear violation of local people’s rights and the judicial decision in the host country. In addition, the decision to finance Cirebon 2 was made even though it was still impossible for JBIC to clearly confirm on the compliance with the above-mentioned stipulation of JBIC Guidelines. We express our strong and serious objection against JBIC’s premature decision to finance Cirebon 2, which prioritises the company’s profit over the local people’s rights, whilst obviously ignoring a judicial decision in the host country and its own guidelines. In Cirebon coal-fired power plant project, the currently operational Unit 1 plant (660 MW which Marubeni invested in), for which JBIC already provided its loan, has already caused numerous environmental and social impacts. A formal objection against JBIC was submitted last November 2016 by the local villagers who had lost their livelihood and income opportunity, such as small-scale fisheries, shellfish picking, salt-making, and farming, and who were concerned about deteriorating of health conditions due to air pollution. Effective countermeasures, however, for such impacts by the existing power plant have still not been put in place and the local villagers are still having in the difficulty with serious problems. 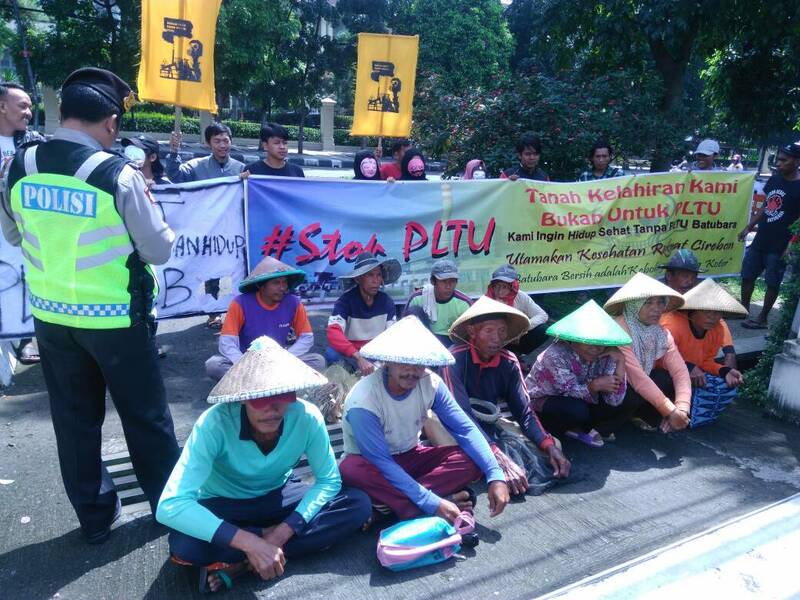 The local villagers have demanded the cancellation of Cirebon 2, as they are concerned that the damages to their life would get worse if the expansion plan of Unit 2 plant is pushed through. Six (6) villagers became the plaintiffs and filed the administrative court case last December 2016, pointing out the illegality in several environment-related laws, such as a lack of amendment in the Cirebon Regency’s spatial plan, which is necessary to push through the current plan of expansion, as well as a failure to appropriately engage the community in the process to develop Environmental Impact Assessment (EIA). The West Java government was also accused of inappropriately issuing the environment permit (No. 660/10/19.1.02.0/BPMPT/2016. Issued on May 11, 2016), with the plaintiffs demanding its cancellation. Japanese government and JBIC must immediately review and repeal its decision to finance Cirebon 2, carefully listening to the voices of the local community and the civil society in domestic and abroad and sincerely recognizing the recent judicial decision in the host country and the international trend of divestment from coal-related projects. So that the local community’s life and social environment could not get worse any more. The Cirebon Project - Unit 1 with a capacity of 660 megawatt has been developed by a consortium PT. Cirebon Electric Power (CEP) consisting of: Marubeni (32.5%), Korea Midland Power (27.5%), Samtan (20%), and Indika Energy (20%). PT. CEP signed a 30-year power purchase agreement (PPA) with the Indonesian state power utility Perusahaan Listrik Negara (PLN). The project has cost USD 850 million. JBIC, the Export-Import Bank of Korea, and private banks made a loan agreement with CEP with co-financing USD 595 million (USD 214 million from JBIC). The Unit 1 Plant started its commercial operation in July 2012. In the Cirebon Project - Unit 2 with a capacity of 1,000 megawatt, Marubeni (35%), Indika Energy (25%), Samtan (20%), Korea Midland Power (10%) and JERA (10%) have invested in, and have established PT Cirebon Energi Prasarana (CEPR). CEPR entered into a 25-year PPA with PLN. The expansion project was estimated to require an investment of USD 2.1 billion, for 80 percent of which JBIC, the Export-Import Bank of Korea, and Japanese and Dutch private banks are considering their co-finance. At the local level, PT. CEPR has been pushing through the construction of access road and land clearing before the commencement of main construction. The Unit 2 Plant is expected to be operational in 2020.